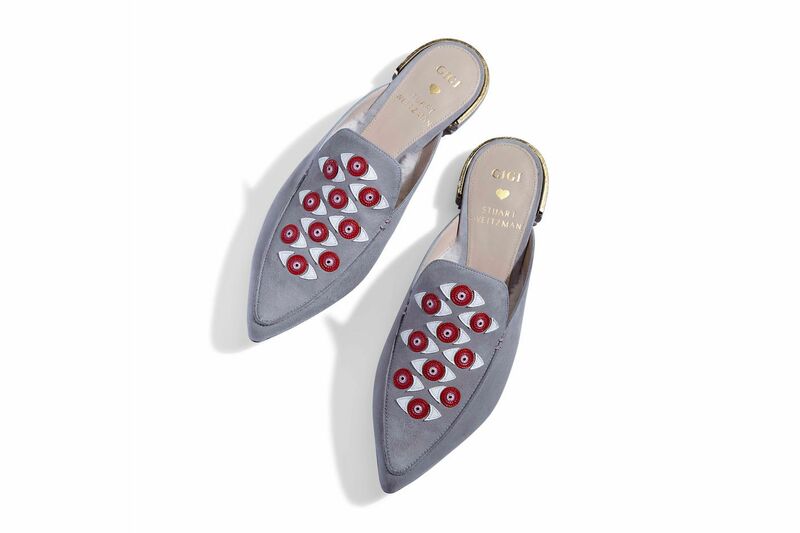 For Gigi Hadid’s second shoe collaboration with Stuart Weitzman, the brand introduced a footwear style they’ve never done before: pointed-toe mules. 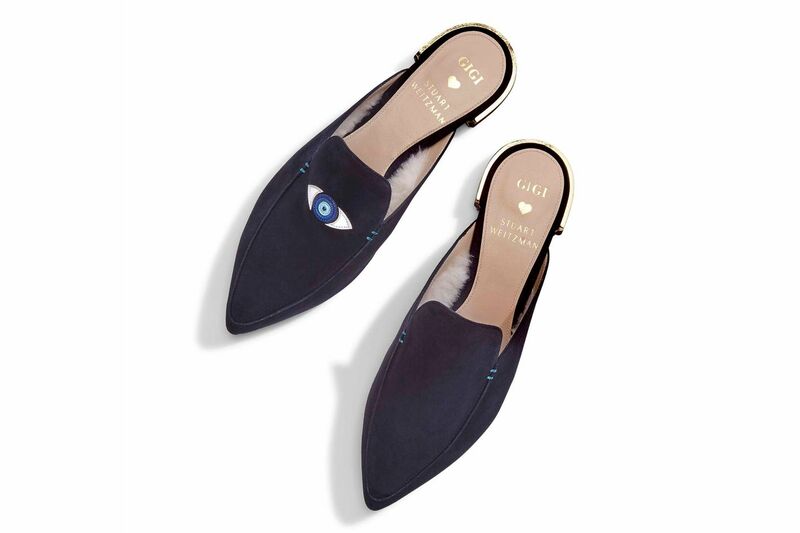 The Eyelove and Eyelovemore are the first project for the brand’s newly appointed creative director, Giovanni Morelli. 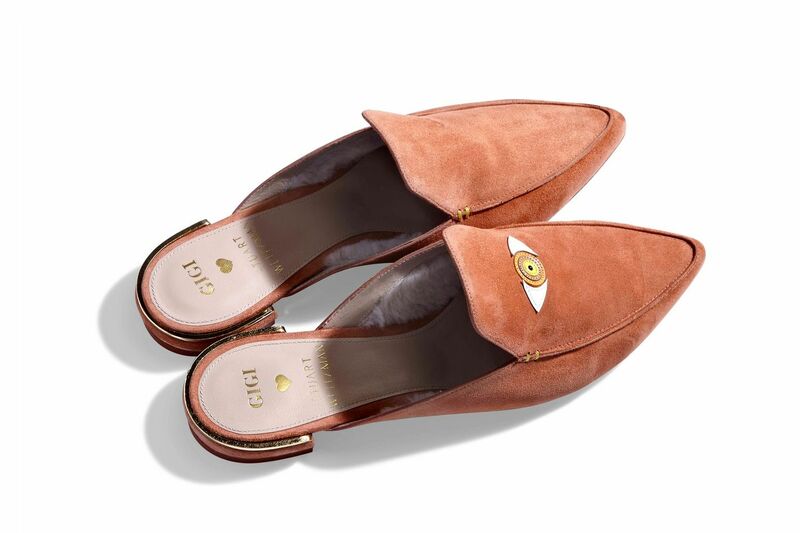 The navy and camel styles come with an ‘evil eye’ symbol on the right foot, while the gray style has an unusual multi-eye pattern on both shoes. 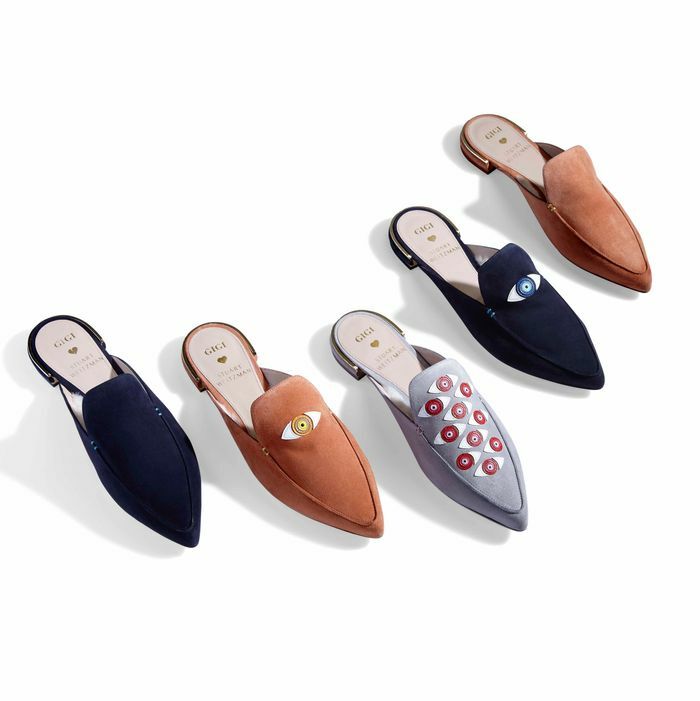 Hadid explained, “I’ve really been into slides lately and wanted a pair that can take me into fall … no more cold toes!” Scroll ahead to shop the exclusive styles.